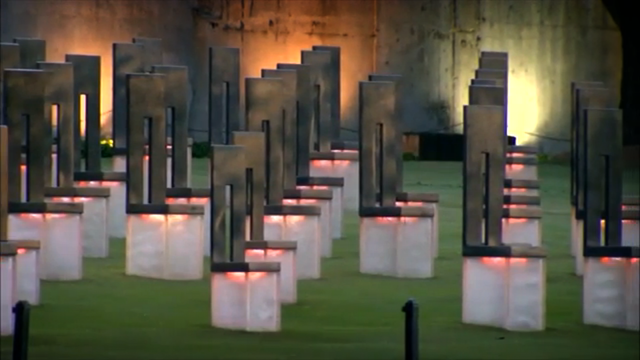 OKLAHOMA CITY – OETA and The Oklahoman have launched a statewide community engagement initiative to commemorate the 20th anniversary of the Oklahoma City bombing. The RESILIENCE Project includes a new documentary that explores the collective memories of those impacted by the event, a digital story collection effort and community screening events across the state. Produced by The Oklahoman and OETA, RESILIENCE, premieres Sunday April 19 at 6 p.m. on OETA. The documentary is a first person account from present day OKC bombing survivors, witnesses, first responders, community leaders and family members. The RESILIENCE effort will include screenings and panel discussions across the state, customized classroom materials, and a comprehensive project web site (oeta.tv/resilience) where users can explore digital archives from The Oklahoman and OETA, view extended documentary interviews and share stories, images and videos on the interactive story wall. Tuesday April 7 at 6 p.m.
Thursday April 9 at 6 p.m.
Monday April 13 at 6:30 p.m.
Wednesday April 15 at 6 p.m.
Thursday April 16 at 6 p.m.
For more information, including event details, story wall access and previews of the RESILIENCE documentary, visit oeta.tv.